Wand, drawer, and top drop degaussers. Read on to learn how to operate the different types of hard drive degaussers. Wand style hard drive degaussers are the most compact and portable of all styles of degaussers. They allow the user to effectively erase data from hard drives with no electricity or power necessary. It's the perfect solution for companies that have a very small volume of drives to degauss, or are very tight on storage space. To use a wand degausser, remove the case of the hard drive so you can have access to the platter. Wave the heavily magnetized wand on both sides of the exposed platter for about one minute. From there, you can recycle your degaussed hard drive as usual. Drawer style hard drive degaussers are the next step up if you would prefer to have a degausser that is more automated than a wand style hard drive degausser. Drawer degaussers are simple to operate, and the perfect solution if you have a constant flow of drives to degauss on a daily or weekly basis. To use, insert your media into the drawer and push the start button. With some drawer degaussers operating in less than 5 seconds, you can quickly destroy your confidential information with ease. Top drop hard drive degaussers are the ideal for those who have high volumes of drives to degauss. They are the perfect solution because many models can be customized with output slides that can redirect your degaussed drives straight into a recycling cart. Operation with top drop models are very similar to drawer style. Once the machine is on, you can drop your drive into the slot located on the top of the machine, and push the start button. Once the cycle is completed, the drive will drop out into the catch tray on the front of the machine. Insert another drive and push start again. NSA listed hard drive degaussers are machines that have been evaluated and have met NSA/CSS performance requirements. These listed machines are used by the government to destroy any level of classified or sensitive data. Each type of degausser, wand, drawer, and top drop have models available that are NSA certified. 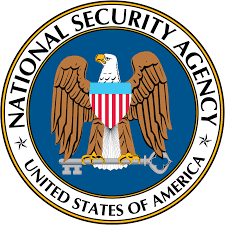 Keep in mind that just because a specific model does not have an NSA certification, does not mean it won't effectively erase your drives, it only means that the specific model has not been tested by the NSA yet.